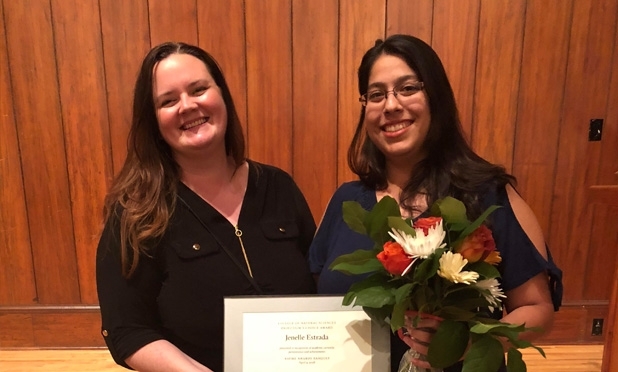 Senior, Jenelle Estrada was recently recognized by the University of Texas College of Natural Science and awarded a professor’s choice ASPIRE award. Jenelle was a participant in the Marine Science Institute’s Semester by the Sea program and summer courses last year and she was one of only three award recipients for the professor’s choice award from the College of Natural Sciences. While in Port Aransas, Jenelle demonstrated development and growth at The University of Texas, strong academic performance, and a genuine commitment to affecting positive change. Jenelle showed leadership and initiative during her independent project at the Marine Science Institute where she examined possible effects of mangrove encroachment on predator-prey interactions along wetland shorelines. Jenelle was able to continue and expand upon this project into the summer. 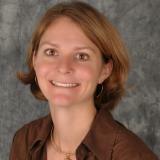 Her research led to preparation of this work for publication with Jenelle as the first author. In addition to her research in Port Aransas, Jenelle took on a leadership role in preparations for her Field Experience in Marine Botany course and lead a group of three students to design and execute a research project in Akumal, Mexico.